Interviewing users is an art — whether you are running usability testing, focus groups, ethnographic research or whatnot. When you undertake an interview process, you'll want to invest time up front for planning it out. Often user research projects are days if not weeks of preparation, conversations, and capturing and processing information. To ensure that all this effort is put to good use, take the time to properly plan out your questions. Let's start with basics. What is a user interview? User interviews are often utilized as a way to examine the user experience, the usability of a product, or flesh out demographic or ethnographic data to build a deeper more comprehensive profile of the end user. Often, research teams will conduct several interviews in order to do a full research project. 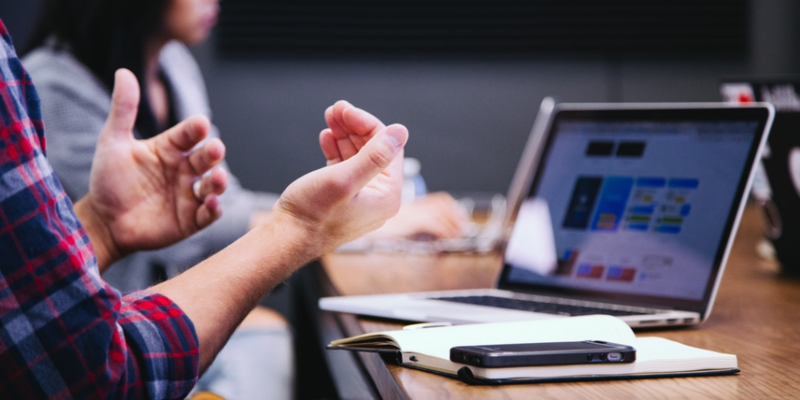 Developing an interview script in advance is a helpful way to standardize the interview process and really ensure you're covering all of the main questions during your time with the customer. When do you normally first use the Internet in a typical day? What are some of the apps and websites you use the most? Tell me about your role at your company? Any lifestyle questions that are related to your topic / product. How do you currently go about [problem / task]? How much time do you typically spend on [problem / task]? Tell me about the last time you tried to [problem / task]? What do you like about how you currently [problem / task]? What is the biggest pain point related to [problem / task]? Why do you keep doing [problem / task] … why is it important to you? What type of work arounds have you cerated to help you with this? What’s the hardest part about [problem / task]? What are you currently doing to make this [problem / task] easier? How does this [problem / task] impact other areas of your life / work? What other products or tools have you tried out? Have you paid for any of these other products or tools? How did you hear about these other products or tools? What do you like or dislike about these other products or tools? Are you looking for a solution or alternative for [problem / task]? Can you see yourself ever using this product? Why do you think you can trust this product? What might keep people from using this product? What’s the most you would be willing to pay for this product? Does this remind of you any other products? Was there anything missing from this product that you expected? Would you keep using this product after what you saw today? Sharing your user research interview notes through Notejoy is a great way to make notes accessible for everyone, and facilitate an internal discussion. 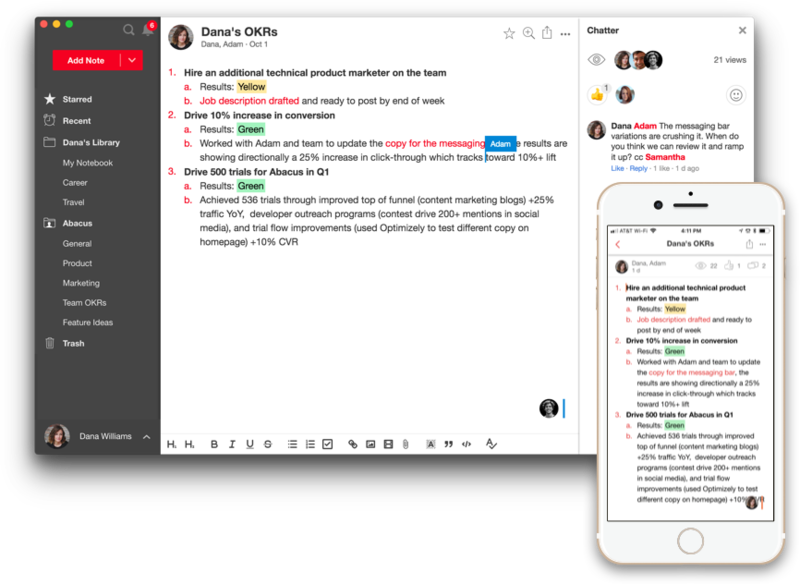 Rather than waiting for the summary, Notejoy's fast and beautiful experience makes it easy for teams to quickly share and collaborate on notes together. Share a Notejoy library as the single source of truth for your user feedback notes. Multiple people can edit at the same time, and it's also easy to manage who has permission to view and edit notes inside and outside of your organization. Everyone in the team can participate with threaded discussions and comments. Call out the most interesting insights and ask questions with the entire team with the information in context. When you make changes to notes, it happens in real-time so everyone stays in sync. Materials in Notejoy are accessible through web, desktop, and even mobile devices so notes can be added, updated, or searched even when people are away from their desk.